Mastering Strategic Management is designed to enhance student engagement in three innovative ways. The first is through visual adaptations of the key content in the book. It is well documented that many of today’s students are visual learners. To meet students’ wants and needs (and thereby create a much better teaching experience for professors), Mastering Strategic Management contains multiple graphic concept pages in ever section of every chapter of the book. Think of graphic concept pages as almost like info-graphics for key concepts in each section. This feature sets Mastering Strategic Management apart from any strategic management book on the market today. The second way the authors capture student interest through their textbook is by using a real-world company as the running example in each chapter. 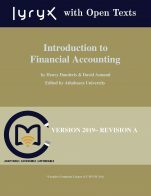 For example, Chapter 1 in Mastering Strategic Management utilizes Blackberry to harness the conceptual coverage of the chapter in a running, corporate, application to which students will relate. The third inventive way Mastering Strategic Management holds the attention of strategic management students is through the “strategy at the movies” feature in each chapter that links course concepts with a popular motion picture. 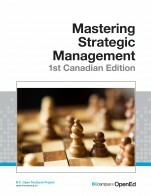 The 1st Canadian Edition is an adaptation of Mastering Strategic Managment. Adaptations include Canadian specific content, images, and references, removal of copyright images, and inclusion of PowerPoints, which can be downloaded from the book's appendix. Mastering Strategic Management-1st Canadian Edition by Janice Edwards, COTR, David Try, NWCC, Dave Ketchen, Auburn University, Jeremy Short ,University of Oklahoma is licensed under a Creative Commons Attribution-NonCommercial-ShareAlike 4.0 International License, except where otherwise noted. The text cover all the areas, ideas and topics that would be found in a strategic management course. There is a clear table of contents. The pdf version of the book does not provide a index or glossary. Examples, case studies, and facts provided are current. 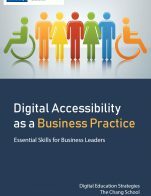 Each chapter provides clear learning outcomes, key terms and definitions within the content. 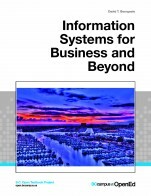 The book is quite comprehensive and would be useful in any strategic management capstone course. he content in this textbook is accurate, up-to-date and and error-free. Figures, charts, pictures, tables, examples, facts and case studies provide real world examples. The content represents typical views of other scholars in this field. The content is written from a Canadian perspective. The book is professionally written and easy to follow. There are references for each chapter. The content is up-to-date, recent and relevant in terms of examples, facts, case studies and diagrams. Fundamental ideas, models and theory are relevant. All content provides current references to modern day life and can be easily updated if needed. The text is written in a professional manner. The content is written in a clear form of writing with straight forward examples and content. The style of the book is student friendly and engaging. All key terms are defined clearly and/or examples provided to explain the terms. It would be nice to have a glossary for quick review of key terms. The text is internally consistent in terms of terminology and framework for understanding key concepts and is comparable to other texts in this subject area. The content has a clear direction that is easy to follow. The text content is divided into sections that could easily be used in a classroom or online learning environment. Learning outcomes provide the instructor an opportunity to create lessons and further reading around topics. While the topics in the textbook follow a format that is comparable to other strategic management courses. The table of contents provide an overview of key elements of each chapter. The pdf version of the book lacked organization in terms of an index and glossary. The learning outcomes are clear and the summary provide a solid overview of what to expect and summarizes what has been covered. The text flows well and does not have an interface issues. There are several visual examples provided as well as charts and diagrams that add value to the book. The book does not appear to be distracting or confusing. There are many versions you can select from online, pdf or by chapter. None found. The text is written in a professional manner. It is well written, easy to follow and clear. The text is not culturally insensitive or offensive in any way. The book is written from a Canadian perspective. The content does provide world examples as well. The textbook would be acceptable and useful in a Canadian context. The book is appropriate for a strategic management course in Canada. The material is professionally written, up-to-date and engaging. The learning outcomes are clear and provide an overview of each chapter. Visuals, examples, and case studies provide further learning opportunities. Finally, the key take away for each chapter provide learners to get a sense of what the key learning outcomes of each section. Instructors will be able break up chapter(s) into sections and provide further readings or assignments around each of these items. The text does an excellent job of identifying and covering the key concepts involved in this topic. It discusses these key concepts very well. For example, in Chapter 3, the text clearly explains the differences between a macro external environmental analysis and an industry analysis. The only deficiency that I noticed in this text was the lack of attention given to the concept of organizational competencies. This concept, core to this topic, was not discussed or emphasized sufficiently, in this text. The content in this text is accurate. After reading this text I could so no distracting errors in content. Also, this text is not biased. This text also does an excellent job of including examples that are relevant to Canadian students. Yes, the content of this text is very up-to-date. 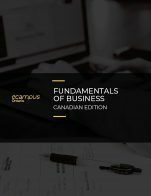 There are references in the book, for example, in Chapter 2 to well-known Canadian politicians Justin Trudeau and Rob Ford. Yes, the text is written in a way that will make future updates easily implemented. Yes, this diction and grammar in this text are both appropriate, I believe, to University level students. Also, because there is minimal, if any jargon (I could not see any) I believe this text would also be suitable for ESL students to use. Yes, this text is internally consistent in terminology and framework. The Chapters are consistently divided into 4-6 smaller topic areas. Also, at the end of each of these topic areas there is sections entitled "Key take-aways" and Exercises. This consistency adds to the professional way the book appears. Yes, as alluded to earlier, each Chapter is divided into smaller subsections which focus on different concepts. Through this texts structure, the reader will, I believe, be able to feel as he/she is making progress on the overall Chapter topic, as she/he progresses through the smaller chapter sections. Chapter 2 introduces this topic and covers many concepts. Then later in the text in Chapter 10 "Ethical Leadership" is discussed. I believe these chapters should be in sequence. Similarly, Chapter 3 discusses the External environment. Later in the text, Chapter 7 discusses International Markets. I believe these related topics should also be in sequence. Many of the images through the text, especially those with small print, are difficult to read without enlarging the image. It is possible to see that the authors expect readers to do this, though I think some students may not do so. If the reader does enlarge these images, the authors have really done an excellent job of illustrating the concepts in diagrams! For example, the images that explain Porters Five Forces really contribute to the readers understanding of this concept. Despite the size of the images mentioned above, the interface of this text is excellent and easy for readers to navigate. I could not see any grammatical errors in this text. The text is ideal for Canadian students. There are a number of specific examples that Canadian students would easily relate to. Similarly there are a number of brands (such as Subway) that are discussed in the text that are also both familiar to domestic Canadian students and international students studying in Canada. Overall, this text is culturally sensitive and not offensive in anyway. This text includes examples of concepts that are multi-cultural and relevant to individuals across Canada. I would use this book. The authors inclusion of powerpoint slides really adds value to the text! These slides are also an excellent compliment to the text and a very valuable resource for instructors of this topic! Excellent coverage of concepts and practical applications. Specific chapter indexes by section lays out material well. Chapter section end summaries as well as section related bibliographies are good in the event that student wishes to delve deeper into specific chapter topics. Content itself is solid. However, there are "mechanical" issues that could detract from a professional presentation. For example, Page 7 chapter 1 second line from bottom page - missing word so sentence is confusing and incomplete. Page 11 Chapter 1, six lines down, paragraph 1, same issue. I stopped recording these situations but there are more throughout. My sense is that students expect accuracy especially in a text. I believe the text content is unbiased. This was a problem area for me. Examples while meaningful often refer to information gleaned from the 1990's. The use of Blackberry as a lead-in corporate example is problematic simply given their current financial woes. This would be an issue for any examples currently where "hi-tech" companies are used as examples. Students expectations would be that because the book is online it should be "up-to-the minute" current. I'm not saying that's right, it's my experience with current generation of learners. Also difficult to assess the criteria below - I don't see much of a relationship between "relevance/longevity." The material is certainly relevant, length of the book is difficult to access as there should be a reference point as to length of course, other course activities that support the text etc. Where there is information presented that is difficult to understand the authors have made the content very clear and easily understandable. One issue that may be in conflict with prevailing "academic" wisdom is the use of the term (see Chapter 8) where the term "concentrated strategies" is used - these strategies are derived from a known concept called "Ansoff's Matrix." There would be no harm in adding this bit of academic reference to this section as students will be xposed to the concept in other courses, e.g. Marketing. The book's flow is good and examples of various companies that are used for examples of concept applications recur through the various chapters. In general the above statement is accurate. However, to properly assess this, it would require that a specific course would be referenced. For example, in a course on International Marketing, the sub-unit of Chapter 7 on International Management would fit well into that type of course. to complement "Marketing" content. Definitely presented logically and with clarity. No navigation problems noted - images are clear so for students with a "visual bias" these work well. There are some situations where the visuals don't add much to concept presentation. for example, in Chapter 1 figure 1.1 it's difficult to see how the images enhance the concept examples presented e.g a picture of Apple's TV box. Not sure that is necessary. This is but one example, there are numerous others. There are errors see my earlier comments about words missing, creating incomplete sentences. Including references to race, ethnicity etc. is difficult within this subject matter but as it stands the text is free of any negatives. In fact, there is content in Chapter 7 that provides information and cautionary content on foreign business practices. Given the weight of North America company examples and their experiences, it is clear that this is intended for a North American student. Overall a solid introductory text for Strategic Management, well laid out, clear concise language, good coverage of topics. For Canadian students, more Canadian company examples would be appropriate as opposed to a perceived bias towards larger, International but U.S based companies. Yes, the textbook covered major areas related to strategy in a management domain. I did not use the index or glossary often so I can't comment on their effectiveness. Yes, it seemed unbiased and accurate. Sometimes it may have seemed outdated. Also some orgs are described glowingly (e.e.g, WestJet) and I am not sure how accurate it actually is. This is a text that needs to be updated frequently because business is dynamic, however, it is not difficult to search the news to find out more recent information pertaining to the examples used in the text (e.g., Starbucks), which are typically major organizations that are not likely to disappear soon. THe teacher must do due diligence to keep students engaged. The students might complain that the text is not current enough. As a side note, it would be nice if there was an instructor's manual that had other examples not shared with the students to provide more thought-provoking, in-class discussion. The textbook was very easy to read and provided adequate jargon. Yes, I did not notice any striking inconsistencies. The textbook was easily divisible and each reading section was relatively short. Yes. the textbook had a logical flow. Some of the figures were difficult to read because the text was small. Otherwise, I did not feel distracted or confused when reading the textbook. I don't recall. but there were no significant grammatical issues. Yes, from my recollection. The textbook had inclusive language. I would but it was very simple. Could find ways to engage students -- perhaps more and better exercises. The content in the textbook is generic other than the the examples provided throughout the chapters. I enjoyed the textbook as a teaching tool and I liked that it was easy to read, but I needed to add more content to my lectures to keep my students challenged and engaged.